It was again a very rich experience working with eminent scholars Kathryn Goldman Schuyler and John Baugher and some of the most challenges questions the world faces today – how to create social change? Together we edited an inspiring book, while bringing together an amazing group of thought leaders to reimagine leadership. The book is part of the International Leadership Association Book Series ‘Building Leadership Bridges’. What is our role in creating healthy organisations and a healthy world? 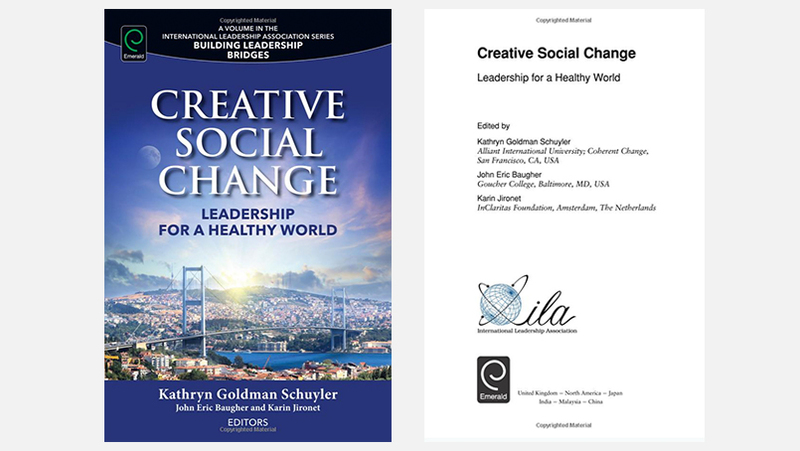 Creative Social Change: Leadership for a Healthy World fosters a unique dialogue on the interconnections between leadership, sustainability, the long-term viability of the planet and organisational development. Brought together, these arenas of research and action can influence events globally and contribute to creating a healthy society.